The worldwide debut of Funnel Packs – Pre-built marketing funnels that generate leads for your agency and save you time. Everything you need to set up your new marketing funnel in under an hour. Join us each week as we bring on fantastic folks from the WordPress community to talk strategy, tools, tips, & tricks to help you streamline your process, sharpen your skills, find better clients, & demand higher paying projects! Wonder what products, podcasts, & things we’re into? We’ll, we keep a list of those things so you can check out all the best things in WordPress! We value your privacy and will never share your personal information- jeez, we're not total jerks. Who’s behind The Admin Bar? We’ll, it’s just two dudes who love WordPress, design, & business— but if you really wanna know… here ya’ go. Matt has been the owner of Matthew Sebert Design, a design and marketing agency based in Keene, New Hampshire for the past 9 years. He’s worked with clients both large and small, local and international, to help grow their business and ensure they look great while doing it. When he’s not working in the office, you can bet he’s in the car driving with no particular destination in mind. Kyle has spent his entire professional career in the design field. His experience has allowed him to develop, implement and improve visual communications for some of the world’s largest corporations. 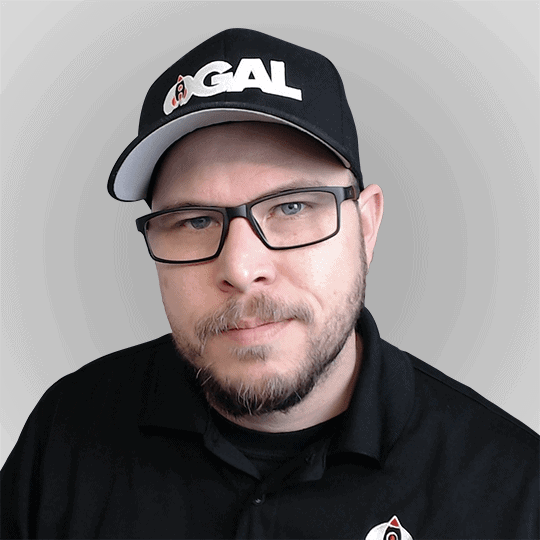 OGAL Web Design was born out of his desire to take the lessons and strategies he’s learned from leaders in the advertising industry and apply them to small businesses by implementing proven techniques.